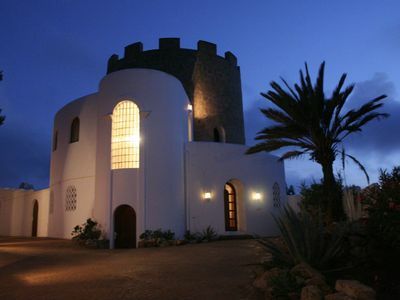 A charming villa in an old water tower with panoramic views of the sea. Torre Uschi is a unique, charming villa, situated in an old water tower. 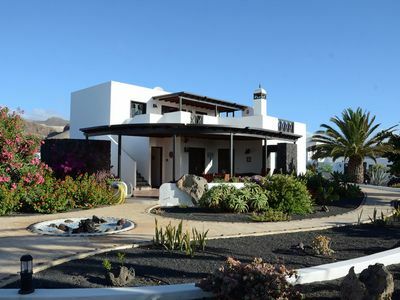 The villa is in the hilly country area of Cala Tarida and has panoramic sea views. 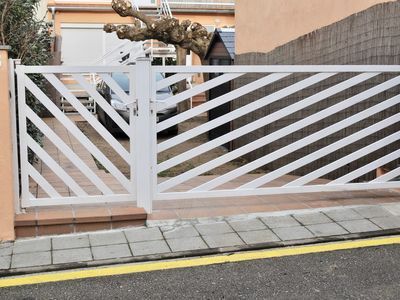 An entrance gate leads into the grounds, where you can park your car. There are landscaped terraces with plants and decorative pots around the water tower. The whole scene exudes a very special atmosphere. There is a partly covered terrace at the side of the tower with a lounge bed, a large dining table and barbecue. The unusually shaped swimming pool is surrounded by a sun terrace. There is an outdoor shower near the pool. The terraces enjoy superb views of the surrounding area. The grounds are enclosed which assures privacy. 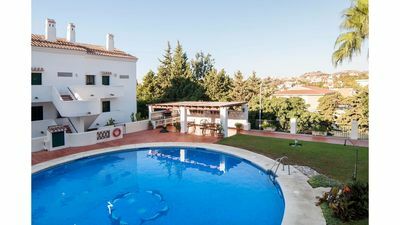 The villa is about 5 km by car from the attractive village of San José and about 20 km by car from Ibiza Town. 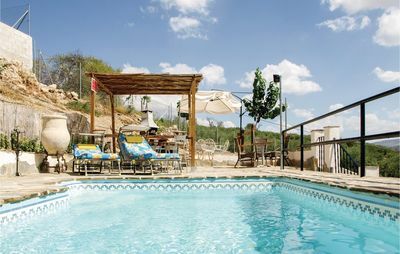 The beautiful sandy beaches of Cala Tarida, with its cafes and good restaurants, are only 2 km away. 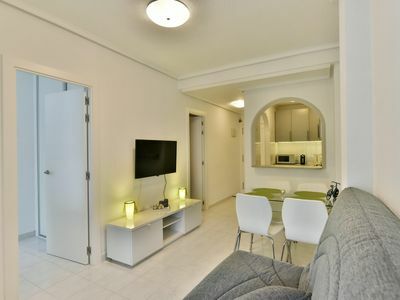 The circular living area is welcoming and comfortably furnished. It has a lounge suite with TV and dining area. French windows lead to the sun terrace. The small kitchen is well equipped with large fridge, dish washer, cooker (3 gas + 1 electric), oven and microwave. There is a guest toilet in the hall. 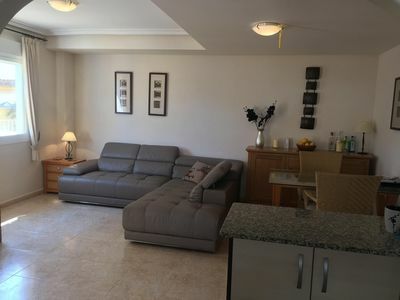 Next to the living room is a sitting room with a fire place and satellite tv, through this room you reach the master bedroom and a bathroom with shower, toilet and wash basin. This room has a double bed, a walk-in closet and has direct access to the sun terrace. Stairs lead to the next floor and a bedroom with a large double bed. French windows open onto a small spacious balcony. There is a small bedroom with two single beds. Both bedrooms share the bathroom.